Today we are introducing Quality Score. Your Quality Score will control your task feed based on your previous activities, feedback and publisher ratings. At Wordapp we don’t believe in filtering (and honestly, we don’t have time for it). We don’t have “entrance exams” or special requirements for editors. The Quality Score in the system allows us to adjust everyone’s personal task feed based on previous activities. This means that if you write good texts, for example, you will also see editing tasks for similar projects. On the flip-side, if your score drops you will see less tasks. Quality Score, like Wordapp, is still in private beta and is still undergoing changes. In the near future you will see more changes based on your Score. Based on your Quality Score, you will start seeing changes in your task feed. You can for example start seeing editing tasks if your score is high. It is calculated automatically by the system, at regular intervals. We are still working on tweaking the algorithm but will start showing your score in your profile (introduced in the next few weeks). 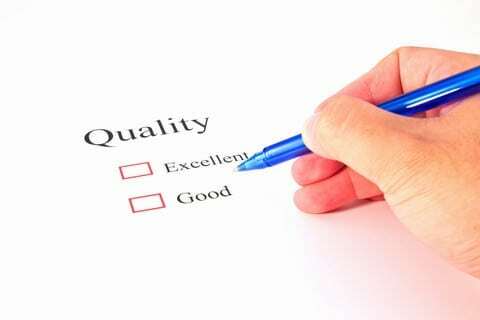 How do you keep your Quality Score high? Take it easy on new projects / in new roles, don’t go all-in unless you know what you’re doing. It’s better to wait 1 day for feedback. Check the FAQ, or join our Q&A webinar on this topic this Thursday.